Kanye West « Welcome to Nyc The Site that Never sleeps! Welcome to Nyc The Site that Never sleeps! Not sure how this is going to affect Kanye since he is already facing assault charges involving a photographer he attacked at LAX. 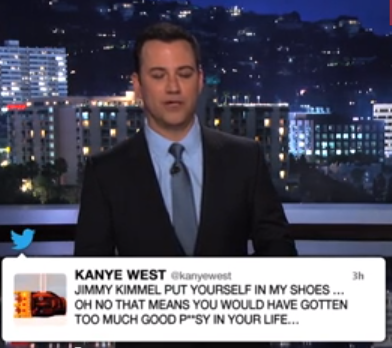 Kanye West and Jimmy Kimmel Squash Twitter Beef!! Kim Kardashian Shows Off an Adorable Pick Of Baby North!!!! 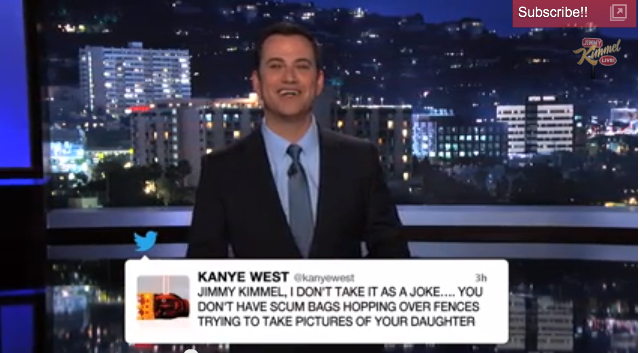 Jimmy Kimmel Takes Twitter Beef With Kanye To TV- “Ive Seen The Tape”!!!! 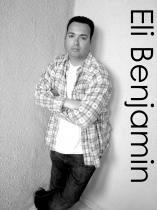 If you missed the twitter beef with Jimmy Kimmel and Kanye then let me update you! 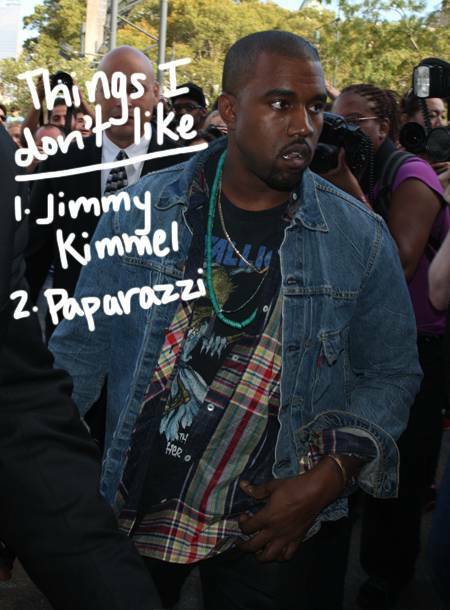 Just last night Kanye went HAM on Jimmy blasting him for being a “manipulative media mutha-f****r.” He also lashed out saying,”JIMMY KIMMEL IS OUT OF LINE TO TRY AND SPOOF IN ANY WAY THE FIRST PIECE OF HONEST MEDIA IN YEARS.” Yeezy was obviously upset about the late night talk show host calling his sit-down with Zane Lowe “weird” and used the two kids to make a parody of Ye’s interview. Kim Kardashian Introduces Blac Chyna to Reality TV!!!! She Has A New Partner In Crime! Earlier this week Kim Kardashian made her first few public appearances after giving birth to Baby North, with Blac Chyna, who is the baby mother of YMCMB’s Tyga. A source tells us that Blac Chyna will be making a few appearances on the next season of Keeping Up With The Kardashains and her and Tyga are also considering their own show. But until then, Kimmy has taken the former stripper and made her a sidekick! 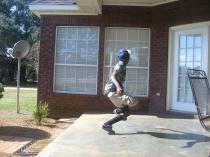 Watch below as the paparrazzii attacks them!